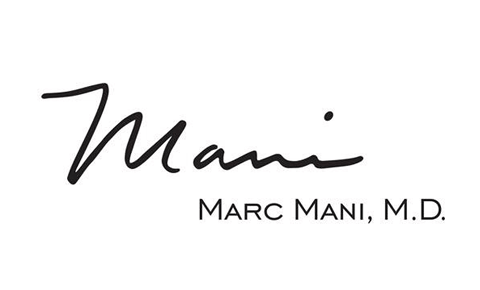 Dr. Marc Mani’s Beverly Hills plastic surgery patients often ask him about how energy-based skin tightening works, if it’s effective, and how long the results last. We’ve complied a handful of the most frequently asked questions about energy-based skin tightening so potential patients can learn more about the procedure. What Is the Deep Infrared Light Procedure? This procedure was developed to help minimize the signs of aging skin. It works by tightening tissue. It is currently used for treating periorbital wrinkles that appear around the eyes. The infrared (IR) energy uniformly heats the dermis while cooling and protecting the epidermis. It is designed to cause immediate collagen contraction followed by new collagen production that occurs over a period of time. The Deep IR procedure at our Beverly Hills office is the most effective non-invasive method to tighten loose skin. What Does a Deep IR Procedure feel like? Deep IR treatment will produce a heating sensation, but it should not be painful. How Long Will the Deep IR Procedure Take? Depending on the size of the area treated, the procedure may take anywhere from a few minutes to an hour. You may return to your normal activities immediately, as there is usually no “downtime.” Minimal redness is seen in some patients, but it usually disappears shortly after treatment. There is no special care needed after treatment. As a part of good skin care, sunscreen is recommended. In most patients, results appear gradually over one to three months, although some patients see an earlier response. A single Deep IR treatment has produced good results in a significant number of patients. However, your doctor will assess the number and frequency of treatments required to achieve optimal results for your skin. The procedure is very safe. Although it is possible that skin damage can occur, this advanced treatment has been studied carefully in hundreds of patients with minimal reports of lasting adverse effects. Contact Dr. Mani today to learn more about getting the Deep IR treatment. Call (310) 203-0511 or send us an email today.